What factors make people more vulnerable to mental disorders and which factors contribute to resilience? What is the role of different factors across life course - from early prenatal period to late adulthood? Are there culture-specific effects of these factors? What are biological and cognitive mechanisms that underlie the link between exposure to risk factors and development of mental disorders? Is mental disorders increase the risk for physical and cognitive health problems later in life? 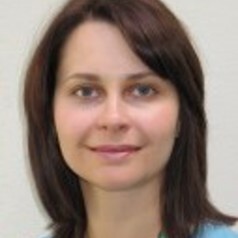 Dr Gaysina's degrees are in Biology (Bashkir State University, Russia) and Human Genetics (Russian Academy of Sciences). She has previously held posts at the Institute of Biochemistry and Genetics, RAS; the Institute of Psychiatry, KCL; the MRC Unit for Lifelong Health and Ageing at UCL, and University of Leicester. Dr Gaysina is an author of more than 50 peer-reviewed publications and co-editor of the book 'Behavioural Genetics for Education' published by Palgrave Macmillan (ISBN: 9781137437310).